The Glastonbury 2019 lineup is out! The Killers, The Cure, Stormzy, Kylie and Janet Jackson all headline! Miley Cyrus, Tame Impala, Liam Gallagher and George Ezra also top the lineup! 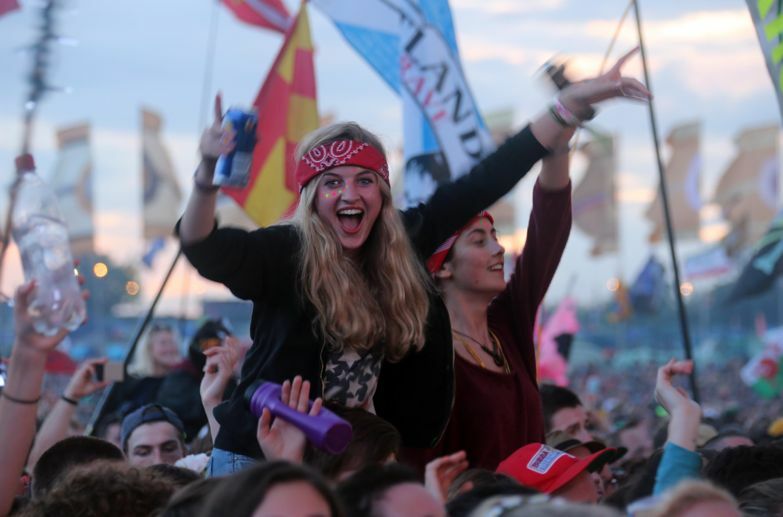 Check the status of Glastonbury Festival tickets in the ticket section below! 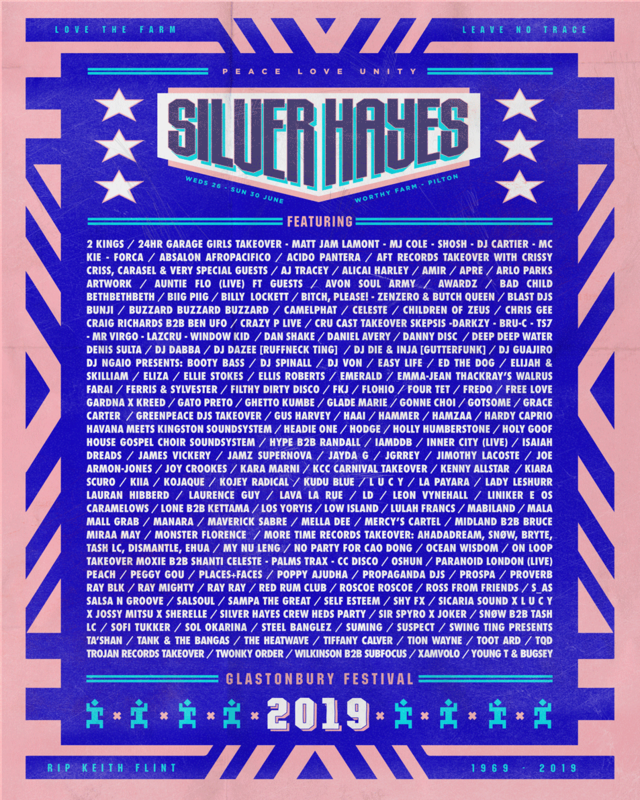 New additions are the recently released The Common, Field Avalon lineup and Silver Hayes lineup, check out the Glastonbury lineup section below for lineup posters. Officially known as the Glastonbury Festival of Contemporary Performing Arts, this festival has been around for over 35 years. It has a lineup of a lineup of rock, electronic and pop music (among others) as well as theatre, circus, cabaret and community. 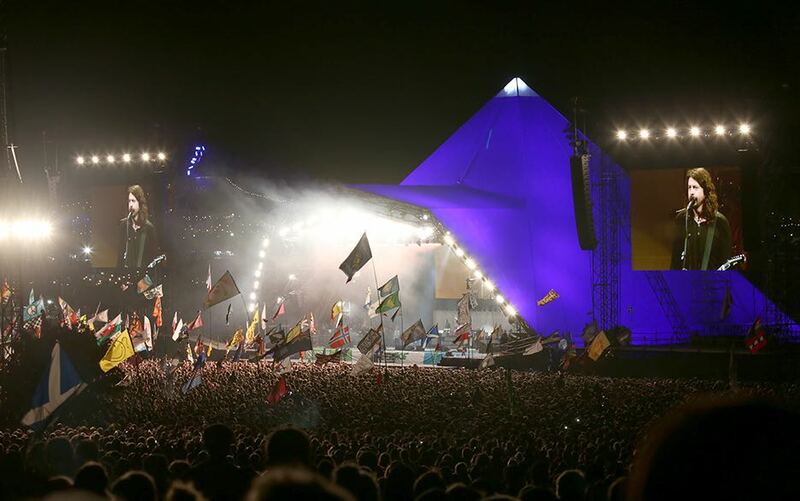 Glastonbury Festival 2019 is the epic big music festival, one of the originals. And lucky people looking for 2019 Glastonbury Festival tickets, your day has come. The ticket resale has been announced! Check out the ticket section farther below for details. 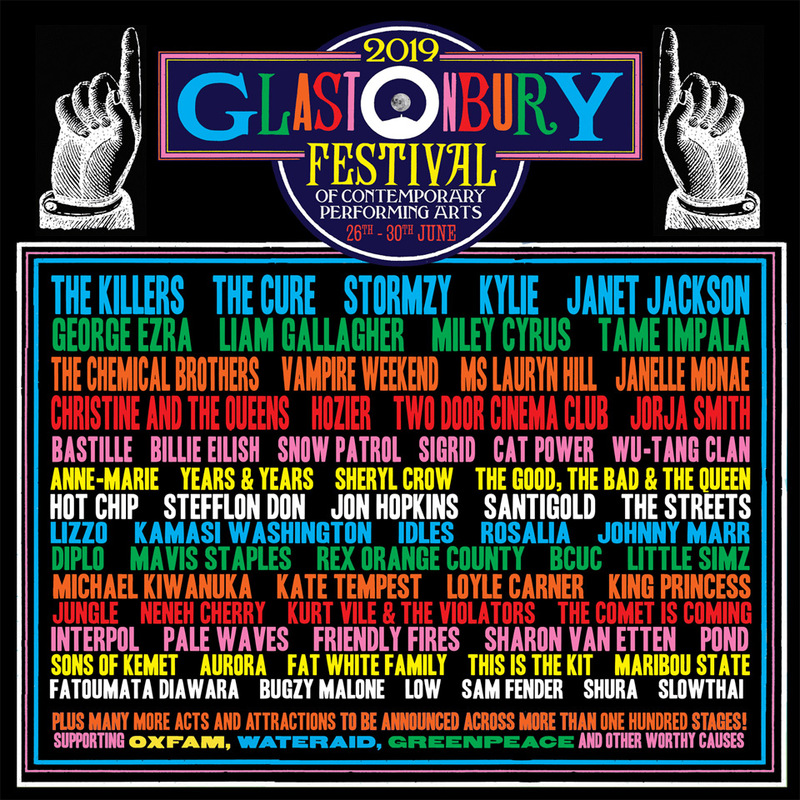 Stormzy, Janelle Monáe and Kylie Minogue were the first names confirmed for the Glastonbury Festival lineup, now a full release is out. See the lineup section below for updates as they happen. Michael Eavis is the originator of the festival, back when it was the Pilton Festival. Along the way he brought in his daughter Emily Eavis to also run the event. In the beginning years, it became a haven for hippies that were coming from celebrating the Summer Solstice at Stonehenge. Later they built a giant pyramid that served as a cowshed and animal food store when the festival was not going on. 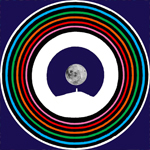 The Glastonbury Festival dates dates are June 26 -30, 2019. 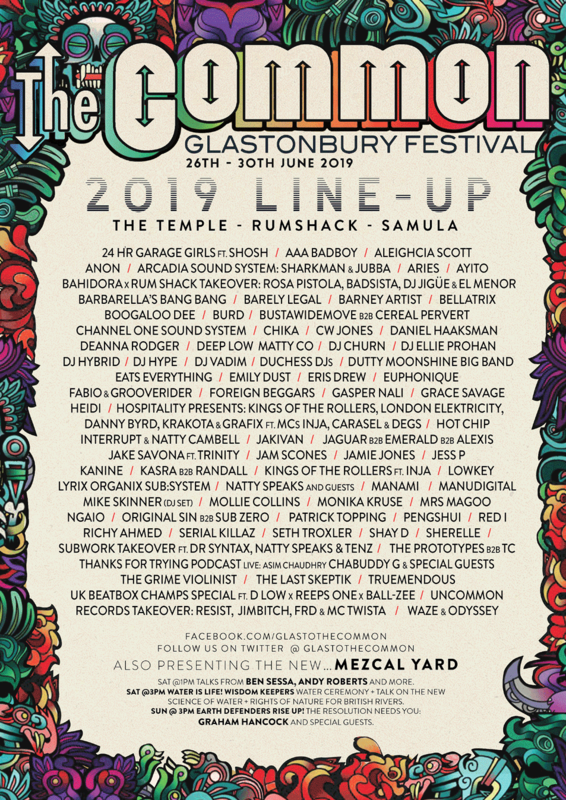 The Glastonbury Festival 2019 lineup and Glastonbury Festival 2019 tickets are below! What are YOU wearing to Glastonbury Festival? Use our promo code SPACELAB (all caps) to get 10% off at www.vibedration.com & www.iheartraves.com! Glastonbury Festival tickets have sold out. For people with with a ticket balance that's due, £198 + £5 booking fee is due between Monday 1st April and Sunday 7th April. The Glastonbury Festival ticket resale has been announced! The resale of returned tickets happens Thursday 25th April, and the resale of general entrance tickets happens on Sunday 28th April. IMPORTANT: prepare for almost immediate sell outs, so be ON POINT and ready if you want to get tickets. Good luck to you! 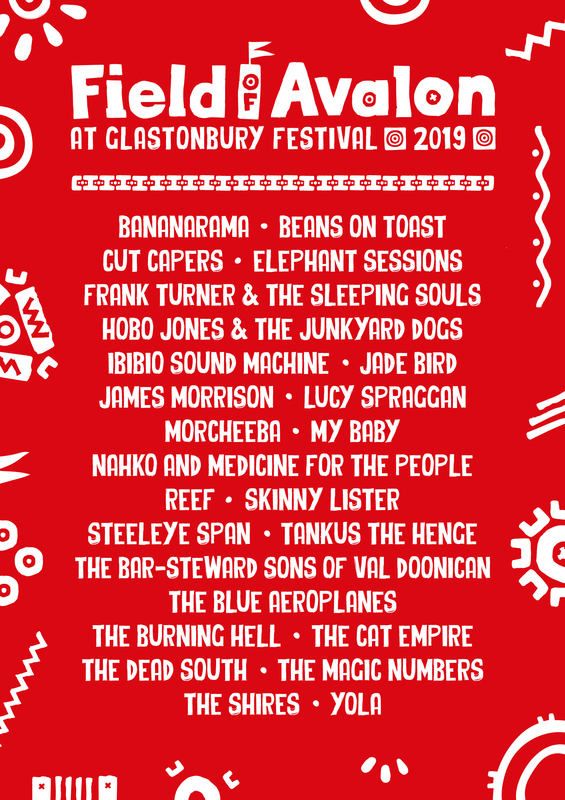 The Glastonbury Festival lineup for 2019! The Killers, The Cure, Stormzy, Kylie and Janet Jackson all headline. Check back for updates!